This compatible Everpure/Birko 1311047 water filter cartridge is an affordable replacement featuring double action water filtration. - Carbon block technology provides dirt, chlorine, taste and odor reduction. - Good for low flow water pressure areas and low volume applications, with high turbidity. - Sanitary quick change cartridge is easy to install and replace. Note: This is a compatible replacement filter. HydROtwist Birko Compatible Model # 1311068 water filter cartridge An affordable replacement filter featuring triple action filtration. ..
• This compatible Everpure/Birko 1311050 water filter cartridge is an affordable replacement featuring 5 micron water filtration. • Carbon block t..
• This compatible Everpure/Birko 1311052 water filter cartridge is an affordable replacement featuring 5 micron water filtration. • Carbon block t.. 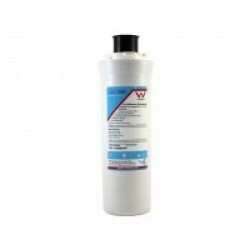 This compatible Birko 1311070 water filter cartridge is an affordable replacement featuring triple action water filtration. - Carbon block technol.. The Birko 5 Micron Triple Action Water filter suits Birko under-sink Boiling & Chilling Systems. 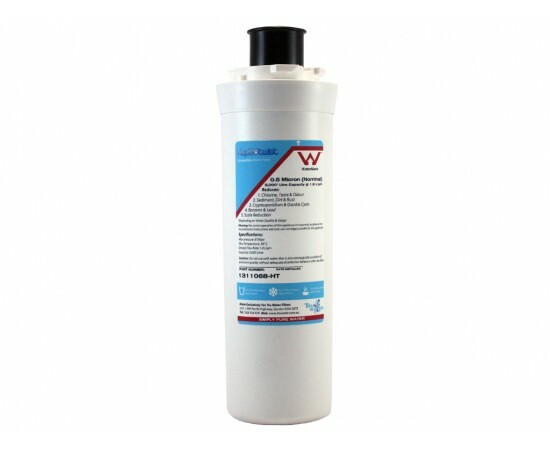 5 Micron Filtration removes dirt, rust and parti.. The Birko Sub-Micron Triple Action Water filter suits Birko under-sink Boiling & Chilling Systems. Birko Sub-Micron Filtration removes dirt, rust.. The Birko 5 Micron Double Action Water filter suits Birko under-sink Boiling & Chilling Systems. 5 Micron Filtration removes dirt, rust and parti..